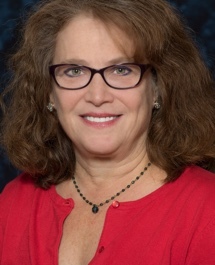 Dr. Beth M. Karassik is a licensed psychologist with broad-based experience spanning 20 years in clinical and forensic psychology and neuropsychology. Her training affords her a deep understanding of what drives, motivates and sustains human behavior. Dr. Karassik is a well-known and respected pediatric neuropsychologist with Comprehensive Neuropsychological Services, P.C. and has provided breakthrough performance coaching with Performance First, Inc.
Dr. Karassik received her Ph.D. in Clinical Psychology from Emory University in 1989. She completed her post-doctoral neuropsychology training in California at St. Jude Hospital and Rehabilitation Center and at NeuroCare. She has been trained as a Divorce Coach and Child Specialist in the Collaborative Practice of Divorce. Dr. Karassik consults with physicians, attorneys, and educators regarding differential diagnosis, educational planning and treatment recommendations for children and adults with a broad range of neuropsychological, learning, emotional, and behavioral disorders. She provides expert testimony in depositions and in court. Dr. Karassik also provides outpatient psychological and neuropsychological services to both children and adults. In her Collaborative Divorce practice, she works with divorcing families as a Divorce Coach and Child Specialist, bringing a deep appreciation of the impact of divorce on families and couples. Dr. Karassik, in association with Lisa J. Cappalli, Esq., Louise R.Zito, Esq., and Karly Mitchell, MBA, CDFA, offers The Close, a new model for containing the cost, conflict and duration of the divorce process. Dr. Karassik is a Diplomate with the American Board of Professional Disability Consultants. She is a member of the American Psychological Association, the Connecticut Psychological Association, the Connecticut Neuropsychological Society (past-secretary), the Brain Injury Association of Connecticut, the Connecticut Council for Non-Adversarial Divorce (Board Member), and the International Academy of Collaborative Professionals. Dr. Karassik is affiliated with the Collaborative Divorce Team of Connecticut and Divorce Solutions of Connecticut as both a Divorce Coach and Child Specialist. Dr. Karassik is committed to supporting children, adults and families in creating new possibilities for the future and transforming their lives in ways that align with the fulfillment of their dreams and serve their best interests. Dr. Karassik joined Comprehensive Neuropsychological Services in 1992.